Get spun, flung, and plummeted while on the craziest rides in all of LA, like Goliath, Twisted Colossus, Viper, Sling Shot, Apocalypse, and more - you get the picture! Klook was great to work with!!! It was extremely easy to order and Six Flags honored the barcodes. After picking up our tickets at will call we went right in. Very easy to use. But, no refunds or changes. So make sure you know exactly when you will go to the park or event. 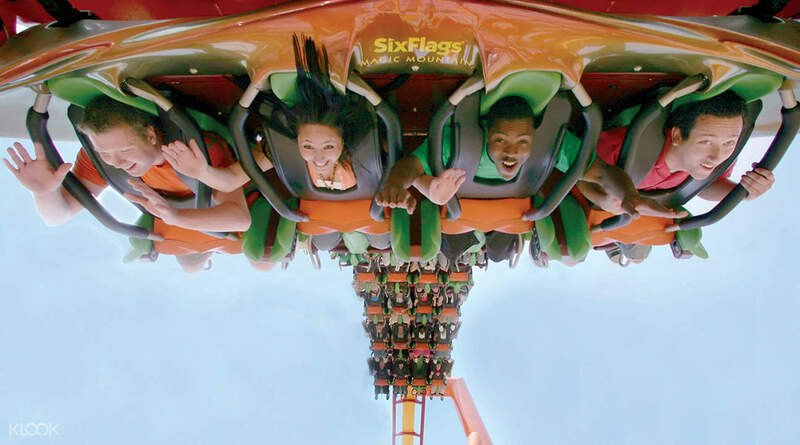 Known as the daredevil's paradise, Six Flags Magic Mountain has over 100 rides packed into the 260-acre park and is easily the perfect place for anyone who loves rollercoasters, crazy free-falling drops, and other adrenaline pumping and hair-raising (literally!) rides. If you're one of those who loves a thrilling ride, attractions like Goliath, the Apocalypse and even DC-themed rides like BATMAN: The Ride, Green Lantern: First Flight and more will surely make your stomach drop. Pro tip: prepare to get wet on some cause Roaring Rapids and Jet Stream will leave you soaked to the bones. If you've got kids or are looking for something a little bit on the mellow side, visit Bugs Bunny World and get on the rides there! And if you don't like rides at all, no problem. There are shows you can catch, a great dining selection, and even more shopping choices for you to see, try and visit. 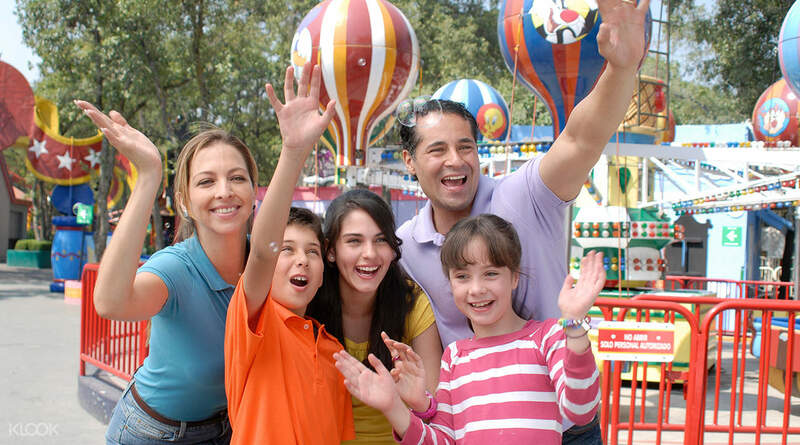 Bring the whole gang to enjoy an entire day of non-stop fun at one of the most popular theme parks in Southern California. Brave their insane rides from the Goliath, BATMAN: The Ride, to Full Throttle, Apocalypse and more! You can even try out themed DC rides like Lex Luthor: Drop of Doom, the highest free falling drop ride in Southern California! 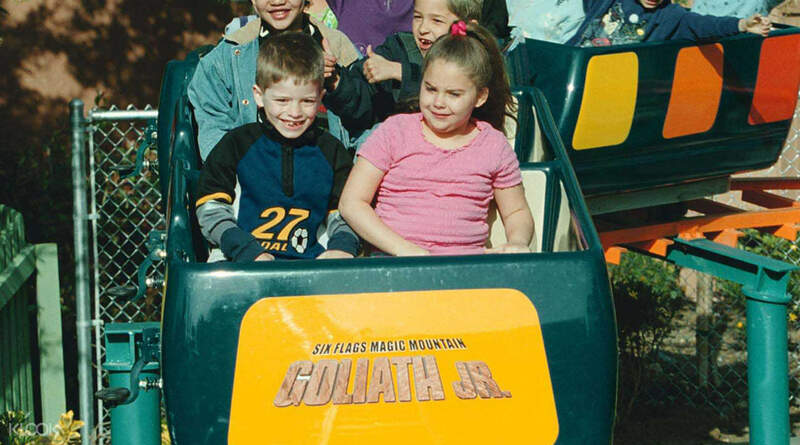 Six Flags is a great place to spend the day, especially for adrenaline junkies. Most of the roller coasters were built for thrill-seeking adults, the best ones taking you on rides that go 360°. The Klook voucher was a great buy, got my tickets at a very good price and didn't go through any inconvenience whatsoever. 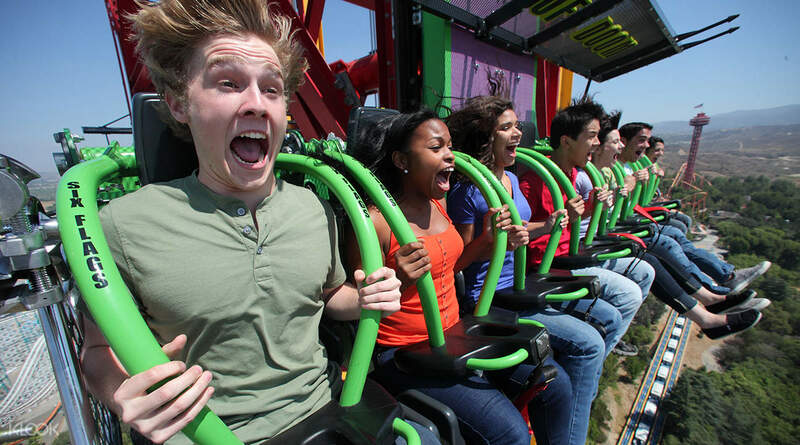 Six Flags is a great place to spend the day, especially for adrenaline junkies. Most of the roller coasters were built for thrill-seeking adults, the best ones taking you on rides that go 360°. The Klook voucher was a great buy, got my tickets at a very good price and didn't go through any inconvenience whatsoever. You need to change your klook booking confirmation at the Will Call and that’s all! You need to change your klook booking confirmation at the Will Call and that’s all! This place is madness, but in a good way. Don’t be fooled into thinking this is designed for kids, oh no, it’s a complete adult theme park. The rides are huge, fast and stomach flipping (my wife literally went through that and carried on #hero). We went on a weekday while visiting and there was basically no waiting at all. Good is meh... but rides are amazing. Be warned... these rides are mental. This place is madness, but in a good way. Don’t be fooled into thinking this is designed for kids, oh no, it’s a complete adult theme park. The rides are huge, fast and stomach flipping (my wife literally went through that and carried on #hero). We went on a weekday while visiting and there was basically no waiting at all. Good is meh... but rides are amazing. Be warned... these rides are mental. The trip was great! However some of the attractions was closed for inspections. It would be great to include the transportation as part of the package! The trip was great! However some of the attractions was closed for inspections. It would be great to include the transportation as part of the package! Im so happy that I was introduced to the Klook app. We are a military family and was shocked that we received a better deal on Klook than from ITT on base. Definitely coming here before we purchase any theme tickets again. Im so happy that I was introduced to the Klook app. We are a military family and was shocked that we received a better deal on Klook than from ITT on base. Definitely coming here before we purchase any theme tickets again. Awesome park, awesome tickets at fair price! The only drawback is the 25 dollars you need to pay to park. a bit outragous if you adk me. Awesome park, awesome tickets at fair price! The only drawback is the 25 dollars you need to pay to park. a bit outragous if you adk me. Reliable and convenient to purchase from Klook. Just show e-tickets at the booth to exchange for physical tickets to enter theme park. Easy, fast and absolutely fuss-free. Recommended!!! Reliable and convenient to purchase from Klook. Just show e-tickets at the booth to exchange for physical tickets to enter theme park. Easy, fast and absolutely fuss-free. Recommended!!! Six Flags was amazing! All we have to note is that we need to collect the actual ticket when we arrive so buffer in extra time if you want to be the first to enter the theme park! Six Flags was amazing! All we have to note is that we need to collect the actual ticket when we arrive so buffer in extra time if you want to be the first to enter the theme park!